An exercise in casual modern dining. 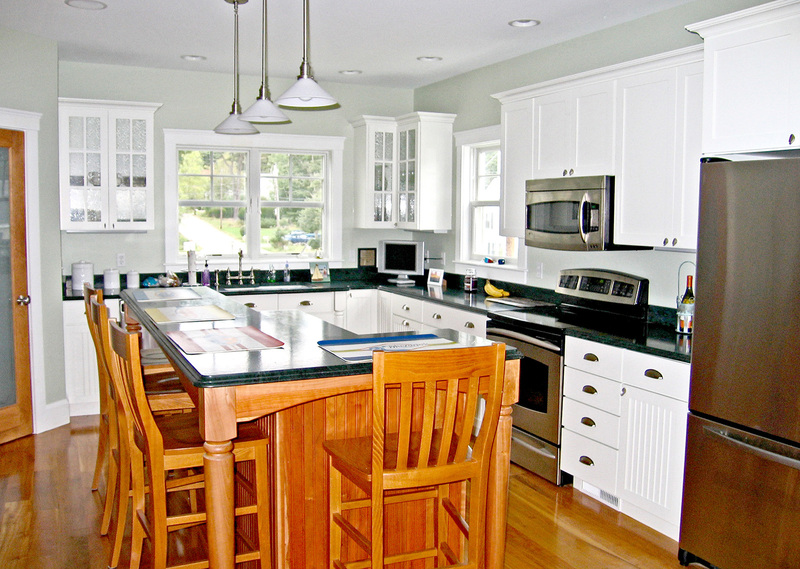 The objective of this kitchen was to incorporate two contrasting variations of wood cabinetry. Many homeowners today seek to meld the ever-popular white cabinets with woods that occur in other rooms of their home, evoking a warmer, friendliness to the sterility of all-white kitchens.